Platelet Rich Plasma (PRP) is the name given to blood plasma with a high concentration of platelets. Platelets are components of blood integral to blood clotting and tissue repair. The concentrated platelets in PRP contain large quantities of bioactive proteins known as growth factors. 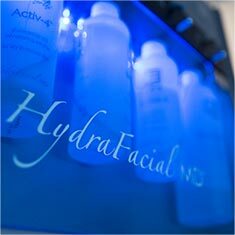 These growth factors are pivotal in the repair and regeneration of the skin. They initiate connective tissue repair and improve overall wound healing. PRP utilises this concept of biological stimulation to assist in skin regeneration and rejuvenation. The growth factors released from the concentrated platelets activate resident stem cells and dormant skin cells. This stimulates new collagen and hyaluronic acid production resulting in a noticeable improvement in skin health and appearance. Using a patient’s own plasma ensures compatibility mitigating disease transmission or allergic reaction. Dr Williamson uses PRP in combination with many other treatments to improve tissue regeneration and rejuvenation, increase collagen production and to aid healing and reduce down time. After PRP injections some people complain about a mild ache or soreness at the site of the injections. This usually resolves after a few hours but some soreness may persist for a couple of days. Sometimes bruising of the skin at the injection site can occur however this usually only takes a few days to resolve and depends on how prone individual patients are to bruising. Patients often experience a few days of minor swelling after PRP injections. After PRP injections there is no particular aftercare other than to keep the injection sites clean and to drink plenty of water keeping the body well hydrated. After PRP is applied to the skin surface it is beneficial not to wash the area for 24 hours to allow the growth factors to penetrate into the skin and stimulate healing. Applying a silicon layer after applying PRP assists in locking in the beneficial growth factors. The benefits of PRP are subtle and begin to show after a few weeks, lasting for many months to years.